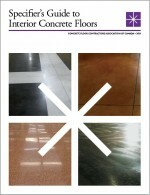 The CFCA represents the interests of concrete floor industry and we are here to help ! 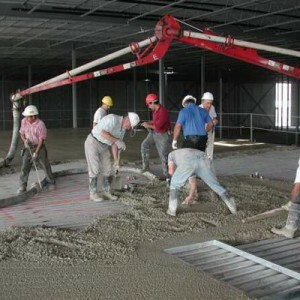 Concrete floors are becoming more and more complex. Issues of design, detailing, scheduling, changing technologies (eg: LEED), concrete mixes, materials and higher quality expectations present large challenges in today’s concrete flooring industry. The CFCA actively participates in national standards development on behalf of the industry on CSA A23.1 (Concrete Materials and Methods of Concrete Construction). If you have any suggestions or comments, please feel free to send us an e-mail. Safety awareness, planning and incident avoidance are the first priorities in construction. All incidents can be prevented through proper planning, supervision, training and care. Safety information and Work Safe bulletins can be found at the Cement Finishing Labour Relations Association. Concrete floor contractors must have atleast 5 years of experience to apply for membership. Please call or e-mail if you are interested in joining or starting a organization in your region. The CFCA is a voluntary membership not-for-profit organization of quality oriented concrete floor contractors and materials suppliers.